Being a princess is every girl’s dream, and where better to realise it than in the Magic Kingdom of Disneyland Paris? We are taking applications NOW so join us and spend an amazing two days enjoying the Disneyland Park and Walt Disney Studios. There is NO SWIMSUIT ROUND, just endless opportunities to dress up and have fun! We know that true beauty comes from within and as a charity pageant we inspire our contestants to reach their full potential both on stage and in their personal lives. We achieve this by encouraging our contestants to help others realise their own dreams, by raising awareness and much needed financial help for our chosen charities. With your help we can spread the word and significantly improve the lives of others. We would like to invite you to be part of this amazing experience. 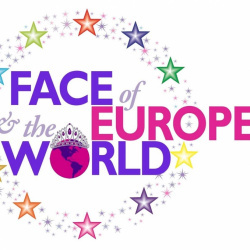 So if you are that special person who wants to make a difference and would like to be the next Face of Europe & the World, don’t delay apply today! The magic of the Disneyland Park & The Walt Disney Studios awaits you; where we guarantee the experience of a lifetime, new friends, fun, lots and lots of laughter and of course the chance to win our beautiful crystal crown. YOU could be our winner of Face of Europe & the World 2017!